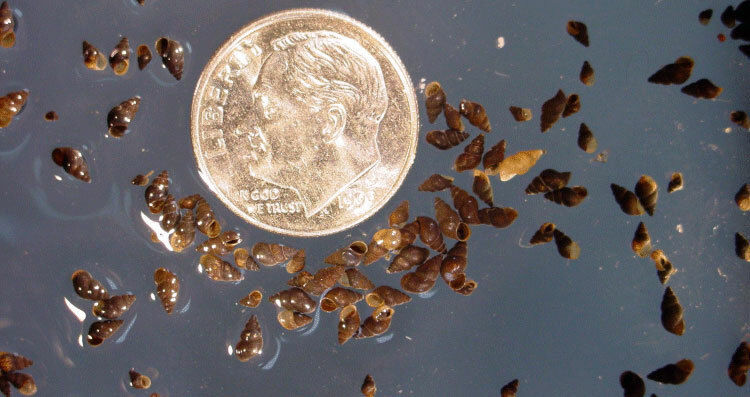 The New Zealand Mud Snail (NZMS) (Potamopyrus antipodarum) was identified in interior waters of Pennsylvania for the first time in 2013; three distinct clones are present in North America (US 1, 2, & 3). In order to inform and influence management, this study aimed to determine the geographic distribution and clonal genotype of the NZMS in central Pennsylvania, and determine if these clones found possess characteristics different from other clones that may influence its spread and invasiveness. Fortunately, the NZMS has shown minimal expansion of its range in central Pennsylvania. No evidence of the NZMS was found outside of the Bald Eagle River watershed. The PA clone appears to be different from any of the U.S. clones in that it is less tolerant of being out of water. This may help limit the rate of spreading throughout the area. Research is being done on the behavioral responses of the snail under different conditions of light and gravitational pull. Future research hopes to determine the actual genotype of the PA clone.